Berovo is a small town near the Maleševo Mountains, 161 km (100 mi) from Skopje, 47 km (29 mi) from Strumica and 52 km (32 mi) from Kočani, in the Republic of Macedonia. It is the seat of Berovo Municipality. 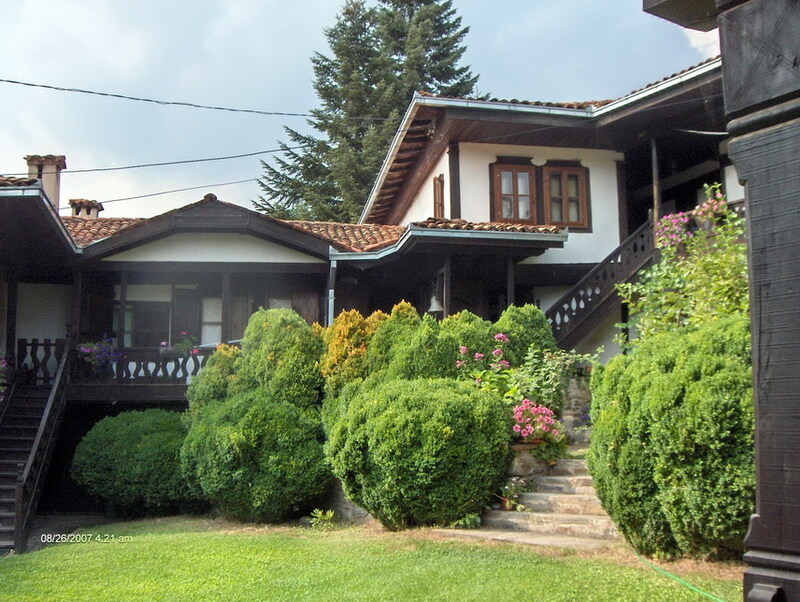 Sustained by the Bregalnica River, Berovo stands at 830–900 m (2,723–2,953 ft) above sea level and can be reached by car using a single asphalt road leading to the city. Berovo lake and the forest of the Malesevo Mountains are two popular sites for tourists and Berovo craftsmen are well known for their skill in traditional wood crafting. Berovo cheese is also a well-known commodity.The climate is mild continental, in certain places modified into mountain-continental characterized by cold winters and cool summers. 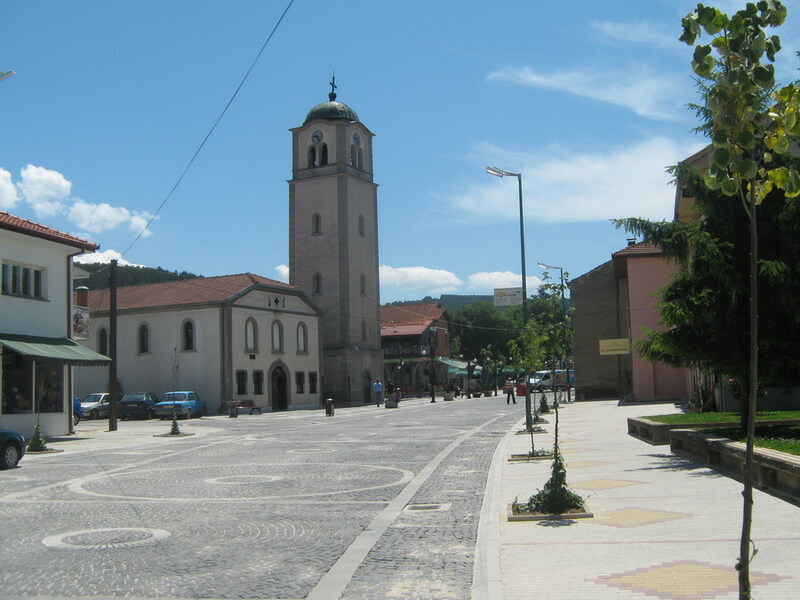 Berovo is the town with highest concentration of oxygen on the Balkan peninsula. The average annual temperature is 11.1˚C. Berovo is the town with most sunny days during the year in the whole country, with an average of 6.4 sunny hours per day. Breza, a late ancient time settlement. Vrcvite, necropolis – Iron Age tombs. Gradiste, settlement and necropolis from late ancient time. Dolno Gradiste - Ablanica, Roman time settlement. Shirok Dol, tombs from Late ancient time. Kovacilnica, an established settlement from Iron Age and Late Ancient and Medieval. Linako, Late ancient time settlement. Pashajlov Preslap, Late ancient time settlement. Popov rid, Gradishte from Late ancient time. St. Archangel Michael , medieval cavities. Shabansko Gradishte, from Late ancient time. The Museum of Berovo is where one should start acquainting with the Municipality of Berovo. The town and its surroundings offer many historical monuments. All the populated places in the Maleshevo region boast at least one well-preserved or renovated chapel with a varied historical, cultural and artistic value, lavished with magnificent iconostasis. The “Holy Archangel Michael” Monastery was built in 1818, among two old churches where Berovo used to be situated in the 18th century. The way which the Monastery was built is associated to a legend and the Monastery’s actions are closely related to the Razlog Uprising (1876) and the Kresna Uprising (1878). Ablanica is a tourist settlement sprung on both sides of the river Bregalnica, at a two kilometres’ distance from Berovo. It has the most numerous and most attractive archaeological sites in the region. About 130 summer houses can be found in this area as well as the Berovo-Ablanica-Lake Berovo footpath. The Lake Berovo is located at a 6 kilometres distance from the town of Berovo, inside a flourishing pine and deciduous grove. Along the lakeside there are numerous villas which can be rented, amazing areas suitable for picnics, leisure or doing sports. 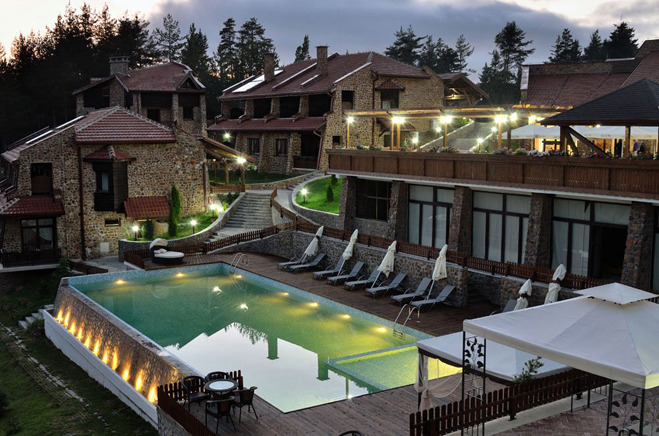 At a distance of 25 kilometres from Berovo alongside the Strumica road, the ‘Suvi Laki’ tourist settlement is found, where 450 villas and 2 holiday camps for children are set up. In the early 19th century Berovo was a rural settlement with around two hundred houses and one small church that had fallen into decay. The inhabitants at the time decided to have a new church built at the site known as Mogila. The parish priest, Friar Peco, was assigned to obtain a building permit from the Turkish authorities in Radoviš. The Turkish governor Vali gave a building permit but made sure to set conditions for construction of the church as difficult as possible. The church was to be built low, below the road level and not to be seen, construction was to end in forty days, and Fr Peco was to give his youngest daughter, Sultana, to the harem. The people of the town prevailed and the church building was finished and covered with stone blocks, soot, and lime (so as not to be noticed) in 40 days. Seeing that the church had been completed, Vali immediately ordered the deaths of three church elders in front of the church, and since Sultana had fled to Kyustendil, Friar Peco was imprisoned for three years. When Sultana found out that Vali had been murdered by komitas, she promptly returned to Berovo. If you are considering to go by bus u have a dozen of bus lines between Skopje and Berovo. Time travel is 5 hours. Price for one way ticket is 400 denars / 6.5 EUR and for two ways ticket is 520 denars / 8.5 EUR. Time of departure from Skopje: 07:30, 08:15, 08:45, 09:30, 12:30, 13:20, 14:15, 15:15, 16:15, 16:30, 18:00. If you are not comfortable to travel by train or bus, you can always get a taxi. The price in one way is more or less 4600 denars / 75EUR. If you'd like to explore the land during your travel to Berovo you can go by car. Distance between Skopje and Berovo is 160 km.